The Clinton Industries Astoria Max Weight Rack with Mirror is a medical storage device made for storing 64 cuff weights, 22 dumbbells and 6 rolls of an exercise band. Made with 6 independent, quick-change positions, the Astoria MaxRac is made to hold the user's choice of exercise bands and/or tubing. Because of its sleek design, the weight rack is a great choice for any physical therapy or rehab facility that requires minimum floor space. 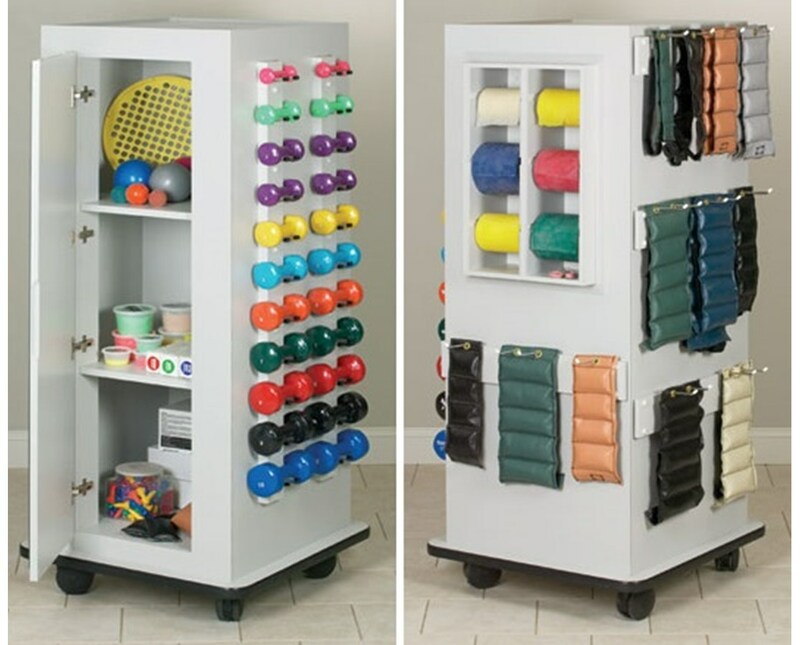 Featuring a large interior space with a door, the Astoria Max Weight Rack with Mirror has a raised edge on top to allow for extra storage space, a mirror that has polished edges with an American National Standards Institute (ANSI) 297 safety backing and a strong polycarbonate angled dumbbell rods for added stability. 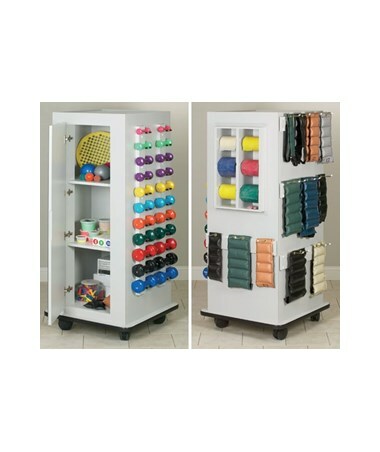 It has protective bumper moldings around the base and has 4" swivel casters, which two are locking, for hassle-free transport around the facility. The Clinton Industries Astoria Max Weight Rack with Mirror comes with a size of 28" L x 28" W x 65" H and a 5 Year Warranty.